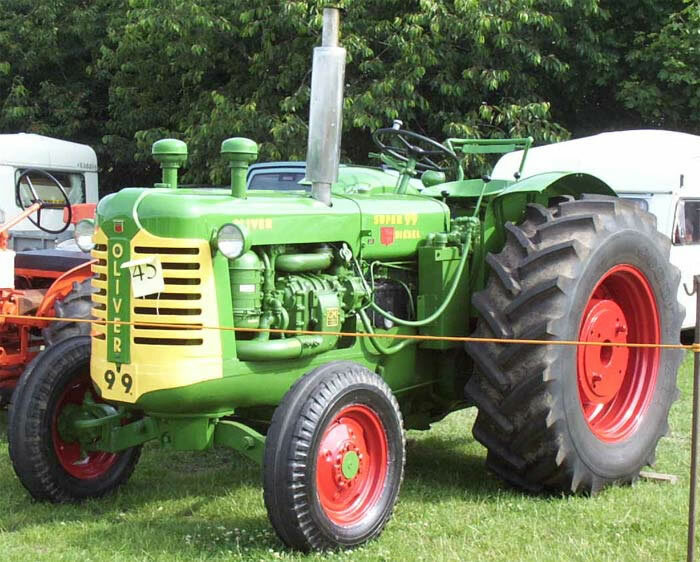 Another view of the Oliver Super 99 GM Diesel Tractor. The prominent feature just above the front tyre is the supercharger for the two-stroke GM371 diesel engine. This version of the Super 99 was certainly ranked as probably the most powerful and best equipped farm tractor available in it's time.